Unsaturated Fats, which become liquid at room temperature, are considered beneficial fats because they can improve blood cholesterol levels, ease inflammation, stabilize heart rhythms, and benefit in a number of other roles. 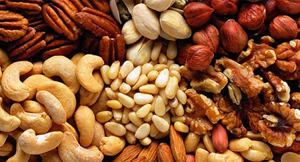 Unsaturated fats are mainly found in foods from plants, such as vegetable oils, nuts, and seeds. Seeds such as pumpkin and sesame seeds. 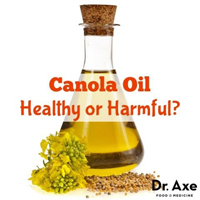 Canola oil is higher in monounsaturated fats but its very high in Polyunsaturated Omega-3 fats are an important type of polyunsaturated fat. The human body can’t make these, so they must come from food. Most people don’t eat enough healthy unsaturated fats. The American Heart Association suggests that 8-10 percent of our daily calories should come from polyunsaturated fats, and there is proof that eating more polyunsaturated fat to 15 percent of daily calories—instead of saturated fat can lower the risk of heart disease. Dutch researchers conducted an analysis of 60 trials that examined the effects of carbohydrates and various fats on blood lipid levels. 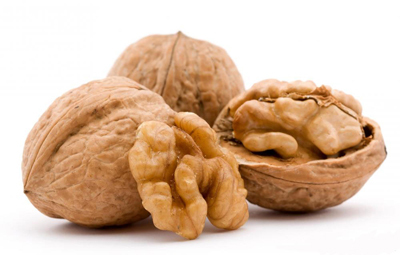 In trials in which polyunsaturated and monounsaturated fats were eaten in place of carbohydrates, these good fats decreased levels of harmful LDL and increased protective HDL. More recently, a randomized trial known as the Optimal Macronutrient Intake Trial for Heart Health (Omni Heart) showed that replacing a carbohydrate-rich diet with one rich in unsaturated fat, predominantly monounsaturated fats, lowers blood pressure, improves lipid levels, and reduces the estimated cardiovascular risk. Finding Foods with Healthy Fats is a handy visual guide to help you determine which fats are beneficial, and which are harmful. The Dietary Guidelines for Americans recommends getting less than 10 percent of calories each day from saturated fat. The American Heart Association goes even further, recommending limiting saturated fat to no more than 7 percent of calories. Cutting back on saturated fat will likely have no benefit, however, if people replace saturated fat with refined carbohydrates. Eating refined carbohydrates in place of saturated fat does lower “bad” LDL cholesterol, but it also lowers the “good” HDL cholesterol and increases triglycerides. The net effect is as bad for the heart as eating too much saturated fat. Though decades of dietary advice suggested saturated fat was harmful, in recent years that idea has begun to evolve. Several studies suggest that eating diets high in saturated fat do not raise the risk of heart disease, with one report analysing the findings of 21 studies that followed 350,000 people for up to 23 years. Investigators looked at the relationship between saturated fat intake and coronary heart disease (CHD), stroke, and cardiovascular disease (CVD). Their controversial conclusion: “There is insufficient evidence from prospective epidemiologic studies to conclude that dietary saturated fat is associated with an increased risk of CHD, stroke, or CVD. A well-publicized 2014 study questioned the link between saturated fat and heart disease, but HSPH nutrition experts determined the paper to be seriously misleading. In order to set the record straight, Harvard School of Public Health convened a panel of nutrition experts and held a teach-in, “Saturated or not: Does type of fat matter?“ The overarching message is that cutting back on saturated fat can be good for health if people replace saturated fat with good fats, especially, polyunsaturated fats. Eating good fats in place of saturated fat lowers the “bad” LDL cholesterol, and it improves the ratio of total cholesterol to “good” HDL cholesterol, lowering the risk of heart disease. Eating good fats in place of saturated fat can also help prevent insulin resistance, a precursor to diabetes. So while saturated fat may not be as harmful as once thought, evidence clearly shows that unsaturated fat remains the healthiest type of fat. Trans Fats Tran’s fatty acids, more commonly called Trans fats, are made by heating liquid vegetable oils in the presence of hydrogen gas and a catalyst, a process called hydrogenation .Partially hydrogenating vegetable oils makes them more stable and less likely to become rancid. This process also converts the oil into a solid, which makes them function as margarine or shortening. Partially hydrogenated oils can withstand repeated heating without breaking down, making them ideal for frying fast foods. For these reasons, partially hydrogenated oils became a mainstay in restaurants and the food industry – for frying, baked goods, and processed snack foods and margarine. Partially hydrogenated oil is not the only source of Tran’s fats in our diets. Tran’s fats are also naturally found in beef fat and dairy fat in small amounts. Eliminating industrial-produced Tran’s fats from the U.S. food supply could prevent between 6 and 19 percent of heart attacks and related deaths, or as much as 200,000 each year. Tran’s fats are worse for cholesterol levels than saturated fats because they: Raise bad LDL and lower good HDL, they can create inflammation, a reaction related to immunity – which has been implicated in heart disease, stroke, diabetes, and other chronic conditions contribute to insulin resistance Can have harmful health effects even in small amounts – for each additional 2 percent of calories from trans-fat consumed daily, the risk of coronary heart disease increases by 23 percent.